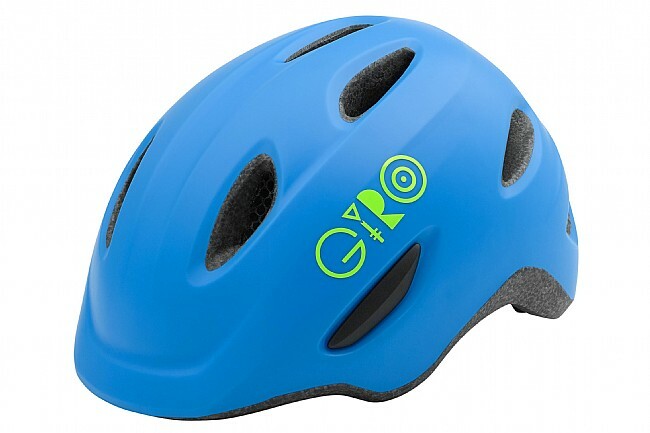 The Giro Scamp Helmet takes features from their Montaro and Montara adult helmets and sizes them down to make a kid's helmet that doesn't skimp on safety. Starting with in-mold construction to create a lightweight, durable shell, the Scamp is shaped with an integrated visor and 8 vents to keep ample airflow. Inside, Giro's Roc Loc Jr. fit system has been reworked to better fit the shape of children's heads, with a pinch-guard chin buckle and rubber adjustment knob at the rear to take the hassle out making things comfortable. Each size has a wide fitment range to extend its use, and the Scamp is available in multiple kid-friendly colors.